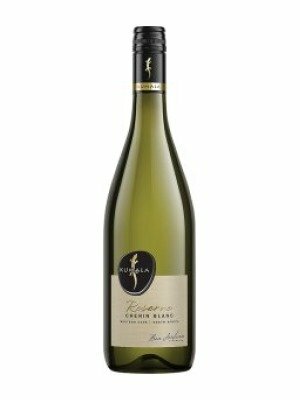 Kumala Reserve Chenin Blanc is a popular South African White Wine available from Tesco Groceries in 75cl to buy online. Visit Tesco Groceries for the best price for 75cl of Kumala Reserve Chenin Blanc or compare prices on our other South African White Wine products. A refreshing & aromatic wine with ripe melon, green apple & pear, complimented by subtle hints of vanilla oak, give a delicious Chenin Blanc. Surrounding South Africa's legendary table mountain is a place of lush fertility and natural beauty. This is the home of Kumala, where we make quality wines that are full of character. Tasting Notes A refreshing & aromatic wine with ripe melon, green apple & pear, complimented by subtle hints of vanilla oak. Where to buy Kumala Reserve Chenin Blanc ? Kumala Reserve Chenin Blanc Supermarkets & Stockists. You can buy Kumala Reserve Chenin Blanc online in most retailers and find it in the South African White Wine aisle in supermarkets but we found the best deals online for Kumala Reserve Chenin Blanc in Tesco Groceries, Tesco Wine, and others. Compare the current price of Kumala Reserve Chenin Blanc in 75cl size in the table of offers below. Simply click on the button to order Kumala Reserve Chenin Blanc online now.